Protests or Prayer Services? Or, Both? What is your calling? Some people might feel that God is calling them to protest and get arrested. I do not. Some people feel the divine nudge to civil disobedience. I do not. I do feel God calling me to proclaim the gospel, stand up for the oppressed, and thoughtfully engage in discourse. Discourse can be about complex theological ideas (e.g. Holy Trinity). Or, it can be about simple notions of right and wrong. For example, there is no biblical basis for a world view based on racism, sexism, or inequality. Verses that appear to support such notions miss what the text is saying about God and humanity. According to the Southern Poverty Law Center, “Unite the Right” is a gathering of extremists on August 12 in Charlottesville, VA. On August 7, the City of Charlottesville moved the rally from Emancipation Park to McIntire Park due to safety concerns. Emancipation Park was formerly Lee Park. The event organizer Jason Kessler stated via a Facebook video that the event will still take place in Emancipation Park. What are some Christian responses? 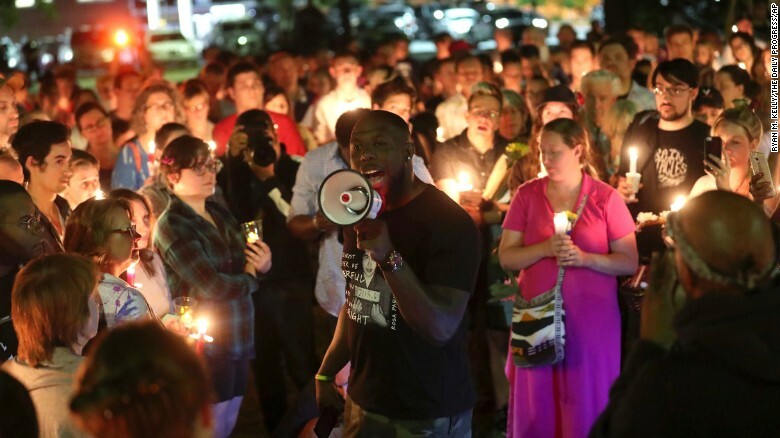 A group called Congregate C’ville calls for 1,000 faith leaders to stage an anti-protest. They are providing nonviolent protest training. The Charlottesville Clergy Collective is planning a series of prayer services. One event is University Baptist Church’s prayer service on August 8. It is part of a series of events around the city. These are two different responses. One is the protest. The other is prayer. We could analyze the efficaciousness of each event. Or, we could ask what does God call us to do? Confrontation is biblical (e.g. Jesus cleansing the temple in all four gospels). So is prayer. Prayer is a conversation with God. Karl Barth calls it “human activity in relation to God” (Dogmatics § 53, p. 87). Paul Tillich says “every serious prayer produces something new in terms of creaturely freedom” (Systematic Theology, vol. 3, p. 191). For Juan Luis Segundo, prayer is “the image of a God who occupies a place in our lives that has not yet been reached by human knowledge and effectiveness” (Teología Abierta, p. 60). More (most?) theologians have addressed prayer in some form. Prayer is a transcendent encounter. Will it change extremists’ minds by itself? No. But, that is not the purpose of prayer. In prayer, humanity relates to God and experiences something new. Then, we discover creative ways to respond. Which one, prayer or protest, will change the world? In some ways, they both do. For me, I feel God’s calling to start with prayer. On August 8, I will pray for peace, unity, alt-right extremists, protestors, law enforcement officers, and the future.